By the time you are reading this, it will have been at least eight full weeks since the people of Latvia elected seven different parties to their 13th Saeima. These nearly two months have been a wild ride even for the country's most experienced political observers, and things only got more interesting this week. As a very quick recap of the first seven weeks; due to the fractured nature of this Saeima, the traditional practice of parties meeting together, negotiating a coalition government, and then going to the president to have it approved did not work this time around. Instead, the parties called on the president to pick from one of the seven candidates nominated by parties as their choices for prime minister. Reluctant to do so, President Raimonds Vējonis instead announced a short list of three candidates: Jānis Bordāns of Jaunā konservatīvā partija (JKP), Aldis Gobzems of KPV LV, and Artis Pabriks of Attīstībai/Par! When the parties were unable to agree on any of those three on their own, they called on Vējonis to pick one himself that would lead the negotiation process. The president finally acquiesced on November 7th (more than a month after the election ended) and announced Bordāns as a nominee, but the other parties rejected him just days later due to the nominee's brash negotiation style, his "red line" against working with the Zaļo un Zemnieku savienība (ZZS) party, and a pension raise plan that was considered economically unfeasible. Instead of nominating a new candidate as the parties asked, the president defiantly told them that they needed to agree on a candidate themselves before he would take any more action. Last Friday, he even threatened a "Plan B" in case the parties were unable to come to an agreement. Anyone who has spent time in Latvia or on social media throughout the week has almost certainly heard this name come up numerous times, but who exactly is the Republic of Lativa's potential 23rd "minister president?" Before being chosen by KPV LV as their prime minister candidate for the 2018 Saeima elections, Gobzems had already had a relatively high profile in Latvian politics and society. The lawyer first arrived on the scene in January 2004 at the age of just 25 when he was made director of the Insolvency Administration, a powerful institution especially during the 2008 financial crisis. Like many other directors of the agency, Gobzems' tenure was not without controversy, and he resigned in March 2005 after pressure from then Minister of Justice Solvita Aboltiņa over what was seen as insufficient work on a new insolvency law. He continued with a successful career as a lawyer, next appearing in the spotlight thanks to his high profile representation of various victims of the 2013 Zolitūde supermarket collapse tragedy. His actions during those legal proceedings brought him into his first major conflict with the Latvian Council of Sworn Advocates, the country's lawyer's association, who complained of unethical behavior during his representation of the clients. Regardless, Gobzems continued on in the case, regularly criticizing aspects such as the court's impartiality and a judge's possible connection with one of the defendants. Although pressure by Gobzems and future KPV LV party co-leader Artuss Kaimiņš resulted in an investigation by the country's anti-corrpution agency (KNAB), no action was ultimately taken against that judge. In 2015 the courts ordered the companies involved to begin paying out money to the families of victims, but Gobzems continued fighting to increase the amount of compensation as recently as last year. Throughout his time as a lawyer, he has also stayed active in politics. His climb to the highest peak of Latvian political prominence began in 2008 when he became a member of Sabiedrība citai politikai, to which in 2009 he donated €7,804. When that party merged with others to form the Vienotība faction, he continued as a member and donated €12,000 despite not running as a candidate for either party throughout his time as a member in them (Note: before you accuse me of plagiarizing from his Wikipedia article which might sound suspiciously similar to the last few sentences I wrote here, I would like to point out that I wrote the English language article myself a few days ago. That's right — before Tuesday, it didn't even exist). Interestingly, he did not donate any of his own money to KPV LV throughout the campaign. Although his membership in KPV LV began only earlier this year, his relationship with party founder and chairman Artuss Kaimiņš goes back to at least 2014 according to an investigative report by the Latvijas televīzija (LTV) program "De Facto." That broadcast accused Kaimiņš of taking money from oligarch and longtime Mayor of Ventspils Aivars Lembergs' opponent Rudolf Meroni, and released taped conversations in which Gobzems told him that he had to "learn to work with swindlers." A separate report earlier in the year by the Baltic Center for Investigative Journalism (re:baltica) connected Gobzems with a scheme by oligarch and former Minister of Transport Ainārs Šlesers to get the traditionally Kremlin-friendly Saskaņa party into power and allow him to more successfully conduct business transactions with Russian companies. Gobzems and Kaimiņš fought back with a scorched earth campaign against the Latvian media, calling journalists "bought" by oligarchs and coordinating to single out and smear KPV LV unfairly despite a steady stream of articles by Latvian media sources critical of virtually every political party that can be found on a daily basis. So who exactly is Aldis Gobzems? It completely depends on who you ask. A reluctance by KPV LV to draw a red line against forming a coalition with Saskaņa until just days before the election has raised alarm bells for many, especially since Gobzems has remained coy about the idea since. The correlation of his harsh rhetoric against Lembergs' Zaļo un Zemnieku savienība (ZZS) with a campaign by media controlled by Šlesers against Minister of Finance Dana Reizniece-Ozola along with the allegations of the Meroni connections has led some to question the authenticity of his commitment to fighting the oligarchy, especially since such rhetoric has been significantly toned down since the October 6th vote. Journalists have also obviously been spooked by his and Kaimiņš' anti-media rhetoric. On the other hand, Gobzems' brash style has gained the candidate a devoted following, thanks especially to his savvy use of social media that has allowed him to connect directly with voters and supporters much more effectively than others who have relied on traditional media. Many truly believe in his commitment to bring serious and positive change to Latvia's political system, and see the many obstacles that have been put into place as a shadowy attempt to unfairly keep Gobzems out of power. His proposal to liquidate the "coalition council" discussion group that meets at the beginning of each week to outline the government's policy goals, which KPV LV has called an extra-constitutional body of power, has proved popular despite experts warning that it could reduce the efficiency of the government. Now that you've been introduced to the man of the week, let's finally get to what happened over the last few days. Representatives of the seven parties elected to Saeima anxiously gathered at Rīga Castle on Monday eager to find out what Vējonis' "Plan B" would entail. In somewhat of a surprise announcement, President Raimonds Vējonis told press gathered at Rīga castle that he had nominated Aldis Gobzems of KPV LV to form a government and become the next prime minister. Although Gobzems had already been one of the three short-listed candidates invited by the president to submit credentials for a security check the month before and his KPV LV party tied with JKP for the second most seats, the president's announcement was still unexpected considering that the previous week he had refused to nominate either Gobzems or Attīstībai/Par! candidate Artis Pabriks due to concerns that neither would gain a necessary majority in Saeima. 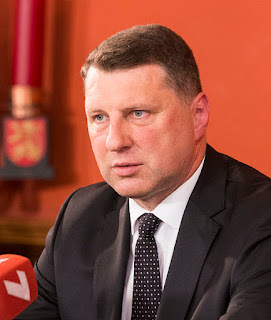 Furthermore, there has been widespread speculation that Vējonis' unusual emphasis that the prime minister nominee must pass a security clearance check has been directed at Gobzems personally considering Bordāns and Pabriks have both already cleared such checks in the past. Apparently, during the president's meeting earlier that day with party leaders Daniel Pavļauts of Attīstībai/Par! and Artuss Kaimiņš of KPV LV, both insisted that Vējonis nominate one of the remaining two short-listed candidates instead of a compromise candidate. It appears that they were able to persuade him. Considering Gobzems' bizarre announcement following Bordāns' nomination that KPV LV would not support a Pabriks-led government (which Bordāns himself echoed days later after it became clear that the other parties would not support his premiership), Vējonis might have believed that Gobzems had the better chance of commanding a majority in Saeima. Although other parties did not immediately decide whether they would or wouldn't participate in a Gobzems-led government, Jaunā Vienotība representative Ainars Latkovskis immediately expressed fears that the traditionally Kremlin-friendly Saskaņa party might be invited into coalition and represent Russian government interests. Bordāns called on KPV LV to stick with a campaign promise not to work with ZZS, and reaffirmed his party's objection to them sitting in coalition. Interesting note: The president's announcement happened to coincide with a test of Latvia's civil defense siren warning system. Social media obviously had fun with that one. Gobzems began Tuesday with an interview with LTV program "Rīta Panorāma," announcing that he planned on personally meeting with every member of Saeima and that it was too early to tell whether the next coalition would include five or six parties. He also took time to criticize the existing security clearance system, calling it "undemocratic" as it takes longer for new politicians (including himself) to gain access to state secrets than established ones and is unfair in his opinion to the newly elected. When pressed about the possibility of working with Saskaņa in the new government, he responded that he did not have any "red lines" against specific parties, only against political principals. Later in the day, he took time in a press conference to outline his vision for a government formation process occurring over the course of ten work meetings devoted to different policy topics, similar to the ones hosted by Attīstībai/Par! a few weeks ago that both JKP and KPV sat out of due to the presence of ZZS. However, the big surprise came when it was revealed that Gobzems had proposed that all participants in the talks sign confidentiality agreements for the duration of the negotiations. Attīstībai/Par! candidate Artis Pabriks finally had his turn in the spotlight this week during an interview with "Rīta Panorāma" in which he revealed that he still had not received an explanation for why Gobzems had been picked over himself. He also emphasized that his party might not agree to KPV LV's proposal for confidentiality agreements throughout the coalition formation process. Finally, he pointed out the theoretical problems of having a head of government or ministers who could not access state and NATO secrets. However, Pabriks did not keep anyone's attention for long due to what would come next. Later in the day, the Latvian Council of Sworn Advocates dropped the bombshell announcement that, after a hearing in which Gobzems did not attend, it was decided to revoke his law license due to improper comments he had made regarding former Insolvency Administration colleague Mārtiņš Bunkus who had been shot to death in broad daylight by an unknown assailant earlier in the year. The complaint had been filed by the slain former administrator's family in August, and it was the council's decision that Gobzems' behavior violated his responsibilities as a lawyer by accusing Bunkus of criminal activity without evidence and revealing names of his clients, which in Latvia are ethical violations and grounds for disbarment. Although the loss of his license does not legally prevent him from becoming prime minister, Gobzems still blasted the decision as an attempt by the powers that be to prevent him from becoming head of government at all costs. Later that evening, Gobzems asked for a meeting with the president regarding the lengthy process of gaining security clearances for new politicians. Although the issue is obviously quite relevant to Gobzems himself, 55 members of the new Saeima have not served in government before and also need to go through a similar process. Attīstībai/Par! and Jaunā Vienotība have come out in opposition to the proposed change. In the same press conference, Gobzems mentioned that he wished for future cabinet meetings to happen behind closed doors as opposed to the current model of them being streamed live, a somewhat surprising proposal considering KPV LV's campaign season commitment to government transparency and proclaimed devotion to reducing shadowy influence. Despite the eventful Wednesday, coalition talks continued on Thursday more or less as planned. Gobzems announced an official plan to reduce the three month maximum time for the security clearance promise to just three weeks, but Attīstībai/Par! and Jaunā Vienotība still expressed reservations. A "memorandum of cooperation" that the parties had planned on signing was postponed to a later date due to disagreements over those and other key issues. Later that night, the Latvian Association of Journalists called on parties elected to Saeima to reject KPV LV's proposal for participants in coalition talks to sign confidentiality agreements regarding matters discussed during the talks. Association leader Ivonna Plaude called the proposal "unacceptable," and called it an attack on freedom of information and the ability for journalists to do their jobs. This morning, it was Jānis Bordāns' turn to appear on "Rīta Panorāma" and discuss his thoughts on the coalition formation process. He noted that KPV LV's approach was markedly different from his own party's attempts, but he did not take the opportunity to criticize the approach, the proposals, or Gobzems himself. He did, however, opine that the coalition formation process could take a long time, and that a new government might not be confirmed until late January. 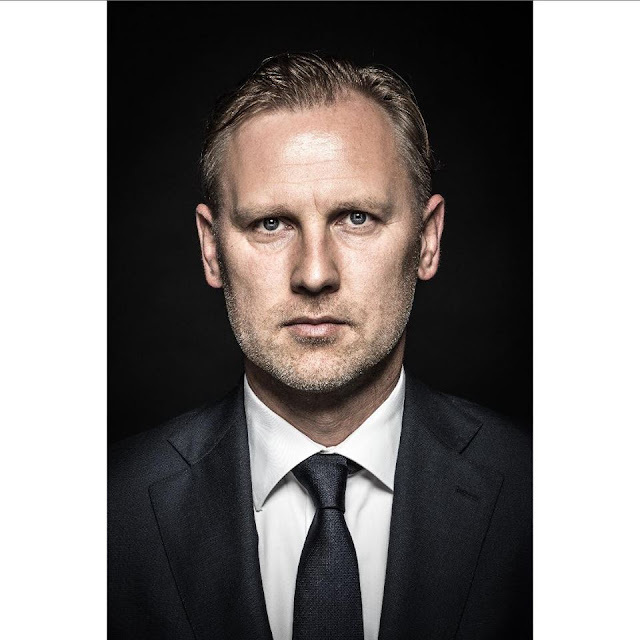 Bordāns also noted that "invisible interests" were still trying to exert pressure and control of the process, and once again expressed his view that only four or five parties should be included in the next coalition. However, President Raimonds Vējonis was the one who dominated headlines Friday by coming out strongly Friday against KPV LV's proposal to speed up the security clearance process. Vējonis expressed belief in the current system, and said that it was the correct balance between democracy and national security interests. This was the first major statement regarding the coalition process by the president since his nomination of Gobzems on Monday, as he had been on a working visit to Afghanistan for most of the week. The president technically has the power of "suspensive veto" against legislation, so even if the change were agreed to by the next coalition it could still be at least temporarily blocked by Vējonis himself. During a policy meeting regarding education policy, potential coalition partners Juris Pūce of Attīstībai/Par! and Krišjānis Kariņš of Jaunā Vienotība expressed doubt that they would be able to work with a prime minister who doesn't have access to state secrets. Attīstībai/Par! members also asked Gobzems to clarify his position about planned administrative territorial reform, while Jaunā Vienotība asked for a concrete plan for parties to collaborate if a KPV LV campaign promise to liquidate the coalition council is fulfilled. For his part, Gobzems expressed a willingness to soften his stance regarding confidentiality agreements and closed door government meetings, and admitted that the government formation process would likely take more time than originally thought. Will Aldis Gobzems receive his security clearance, and how long are other parties and the president willing to wait to find out? Why is Gobzems' security clearance process taking so long? Is it truly a shadowy conspiracy to keep him out of power, or is there truly something about his background that could make him a threat to national security? Will parties agree to Gobzems' plan for confidentiality agreements and closed door government meetings, and is KPV LV willing to give ground on this issue? Will President Vējonis stick to his two week deadline, or will he allow Gobzems more time to form a coalition of talks appear fruitful? If Gobzems is unable to form a government, will Pabriks be next despite JKP and KPV LV announcing previously that they refuse to work with him as prime minister? If not who will the president turn to next? Will the coalition talks take long enough for current Prime Minister Māris Kučinskis to overtake Aigars Kalvītis the fifth longest serving head of government in Latvian history on March 1st? For answers to these questions and more, make sure to stay tuned to Latvia Weekly. Keep an eye our for our weekly news update post tomorrow, as well as the sixth episode of our new weekly podcast. Also, don't forget to press "subscribe" at the top of this page and to "like" us on Facebook for important "stories of the day" each evening. Take care!